Beginning in the Columbia Ice Fields 1800 m above sea level, the North Saskatchewan River crosses the prairies of western Canada and joins with the Saskatchewan River before spilling into Lake Winnipeg. It was a place of gathering and tool making for thousands of years for First Nations people. The river valley was rich in food and in materials useful for daily living like wood, pelts, stone and clay. It was a place where they met, traded, celebrated and occasionally clashed. 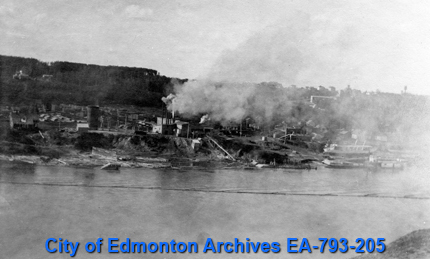 EA-10-94 Fort Edmonton 1825. 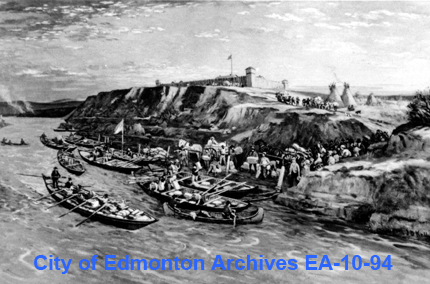 This depiction of the loading of York boats and departure of the voyageur brigade from Fort Edmonton in 1825 captures the bustle of the busy fur trade depot. 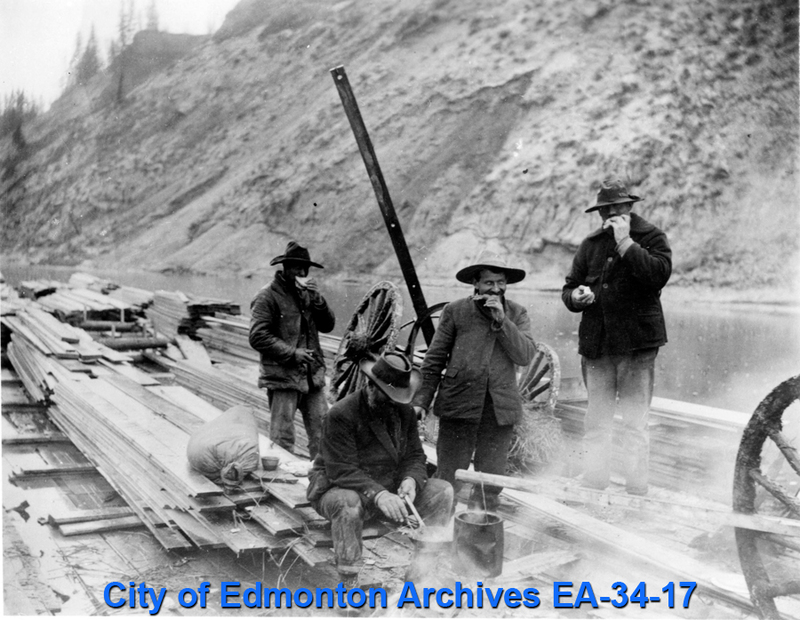 From the 18th century on, the time of the fur trade with European merchants in the east and overseas, the North Saskatchewan was a major transport route for goods and trade objects. As the wealth of the west became a lure to entrepreneurs and settlers, it contributed significantly to the economic development of the west during the 19th and 20th centuries. The river was instrumental in forming the arable lands which settlers desired, as well as providing the means for moving their produce to markets. First outposts, then settlements, towns and finally, the city, formed along its banks and used its waters for sustenance, for transport and for industry. 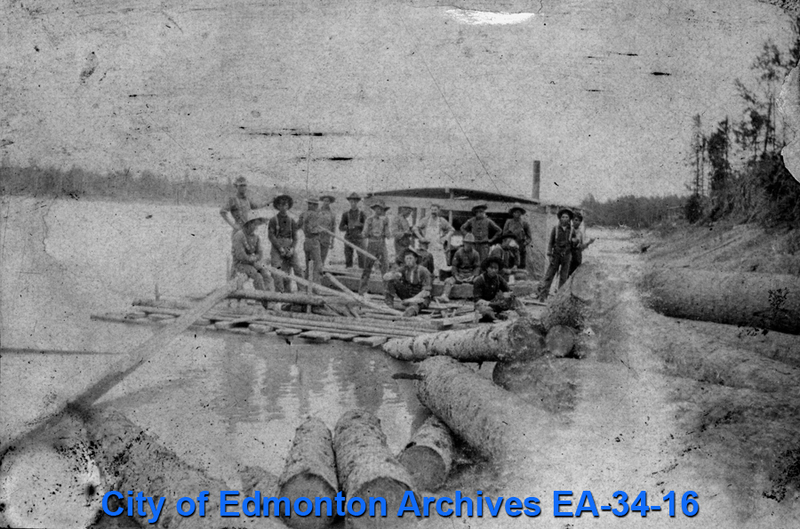 EA-34-12 Rafting Lumber down North Saskatchewan River c. 1910. 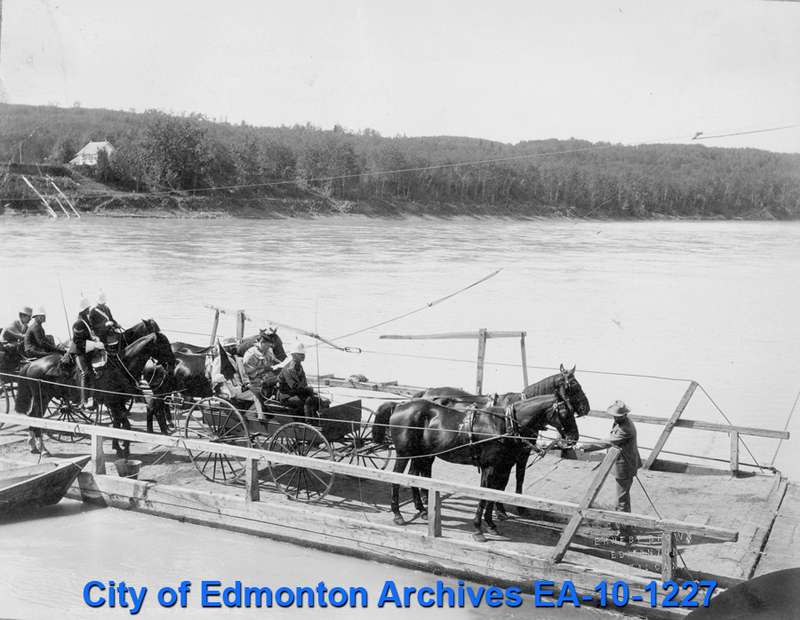 Two of John Walter’s businesses, the lumber yard and the steamboat transportation company, typically used the river for hauling freight to the Edmonton area. Just before the northward bend in the river a natural ford existed which created a common crossing place on the river. Trails from the north and south met at this location as travellers discovered the easiest place to traverse the river. In time John Walter would take advantage of this intersection to establish his ferry business, further assisting with the crossing. The site he chose for the ferry and for his later businesses became his namesake, Walterdale. Others would join him here, for the access to the river, and to markets on both river banks, as well as the necessary water to assist with their production of goods like leather, bricks, lumber and coal. EA-793-205 John Walter Mill and Lumber Yard c. 1910. 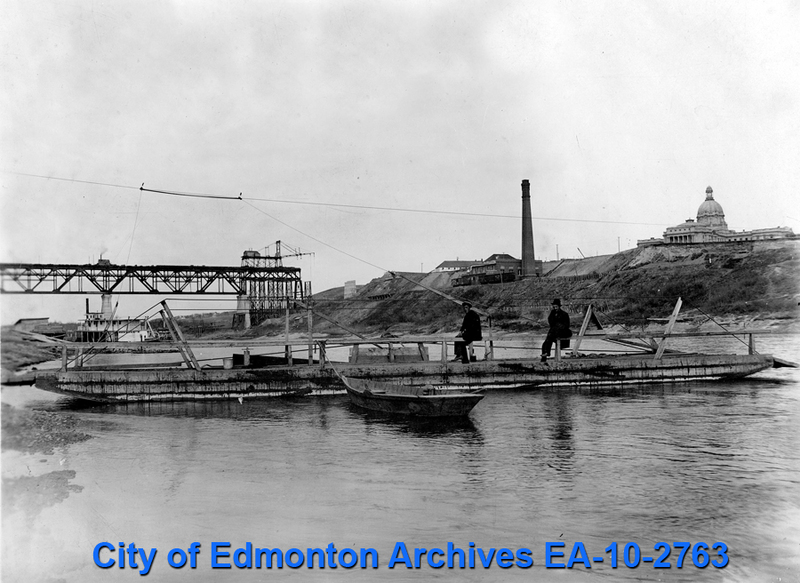 Walterdale in the early part of the 20th century was both a workers residential area and an industrial centre. Unlike today’s park setting, the location of Walter’s mill, lumberyard and coal mine was a busy hub of manufacturing activity.